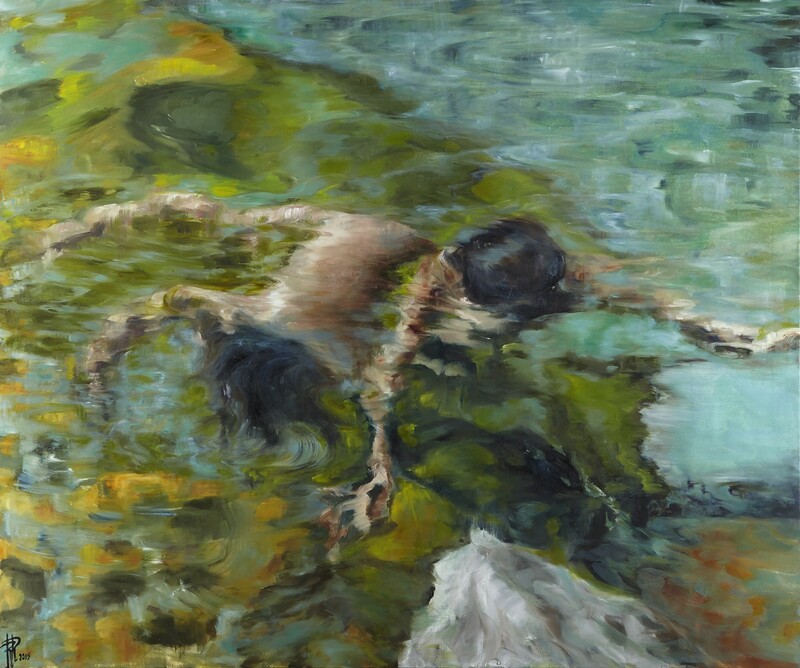 A trip to Corsica in the mountains makes me discover the sweetness of the crystal clear water of the natural pools of torrents. 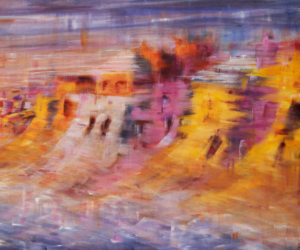 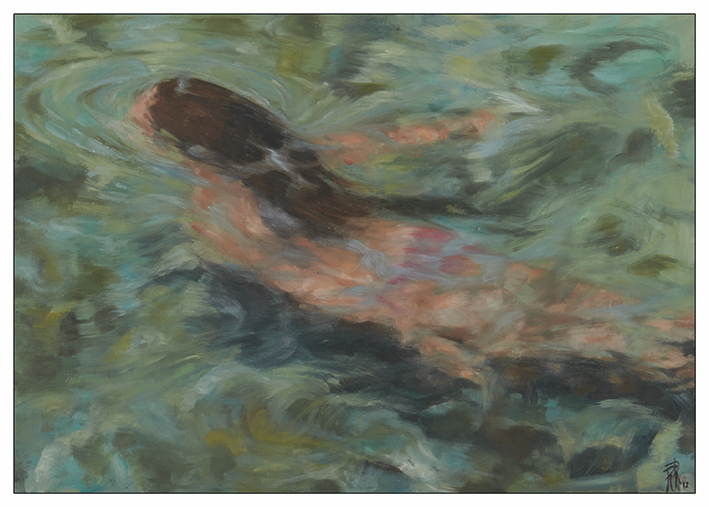 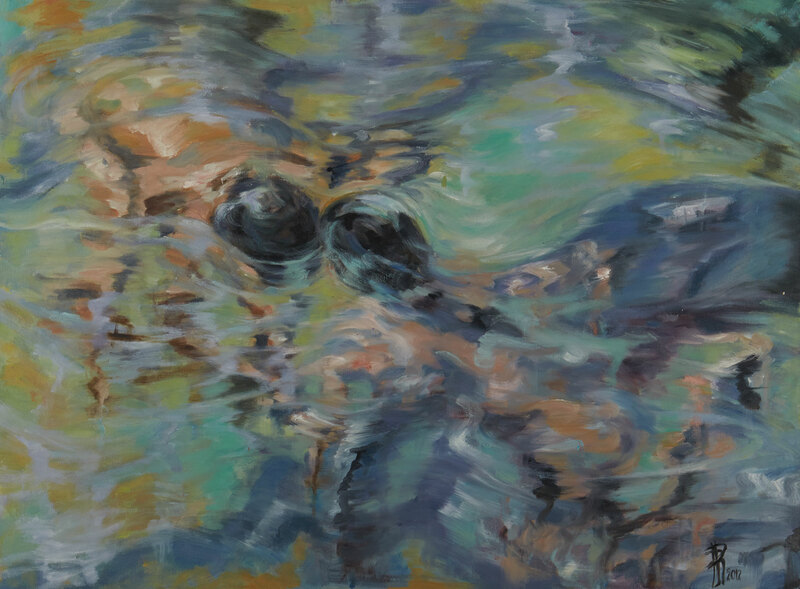 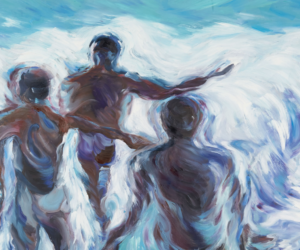 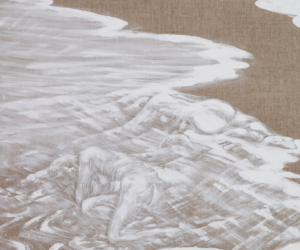 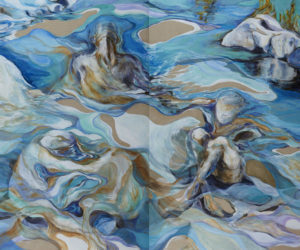 This inspired me the series of paintings “Encounters” with floating bodies over the water. 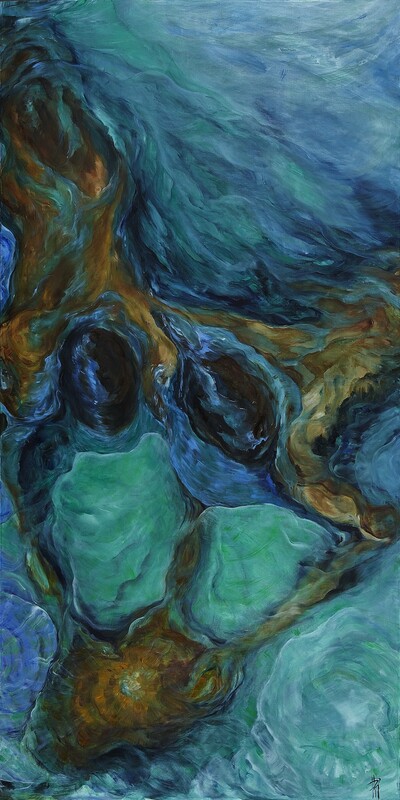 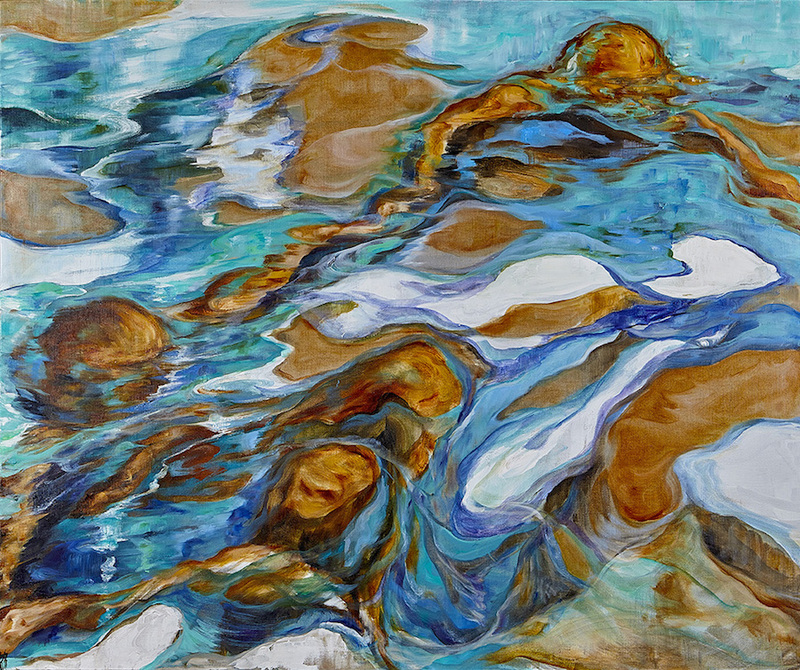 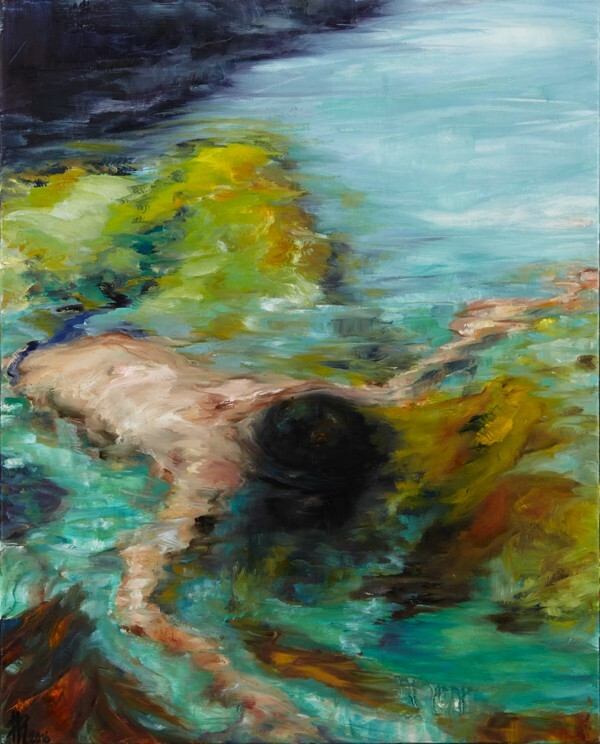 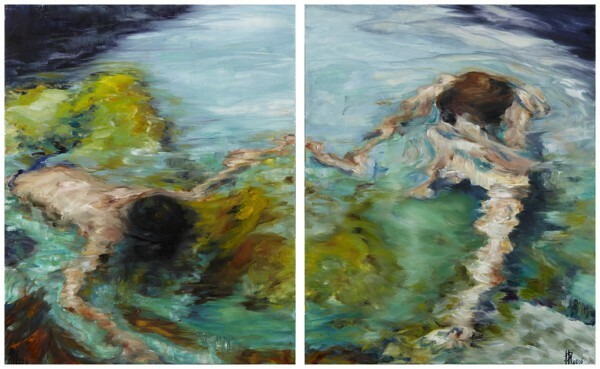 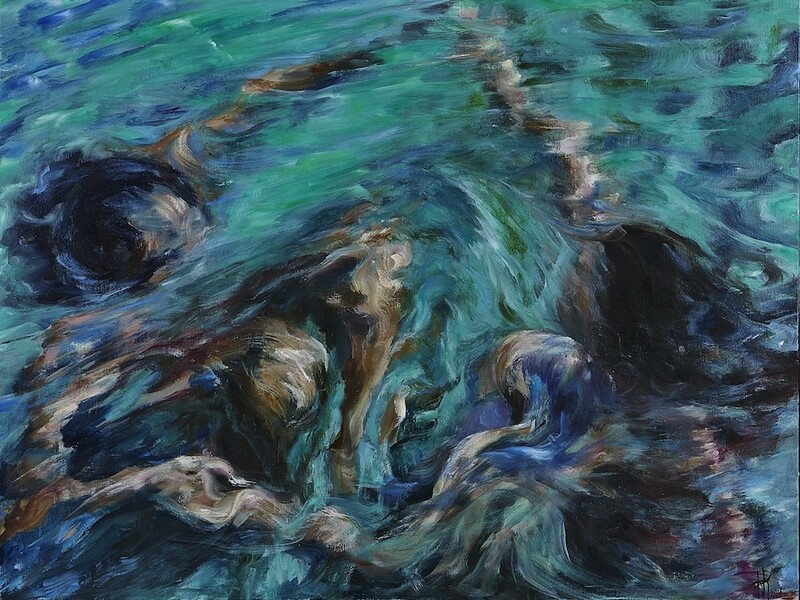 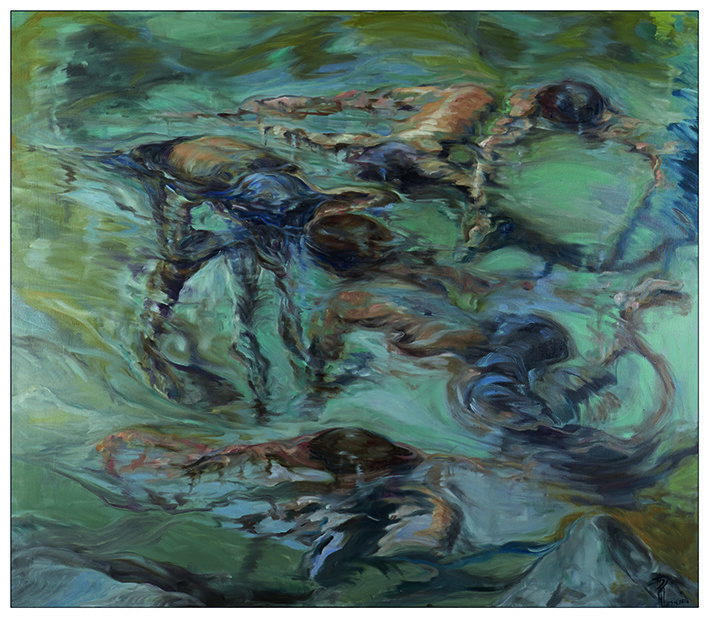 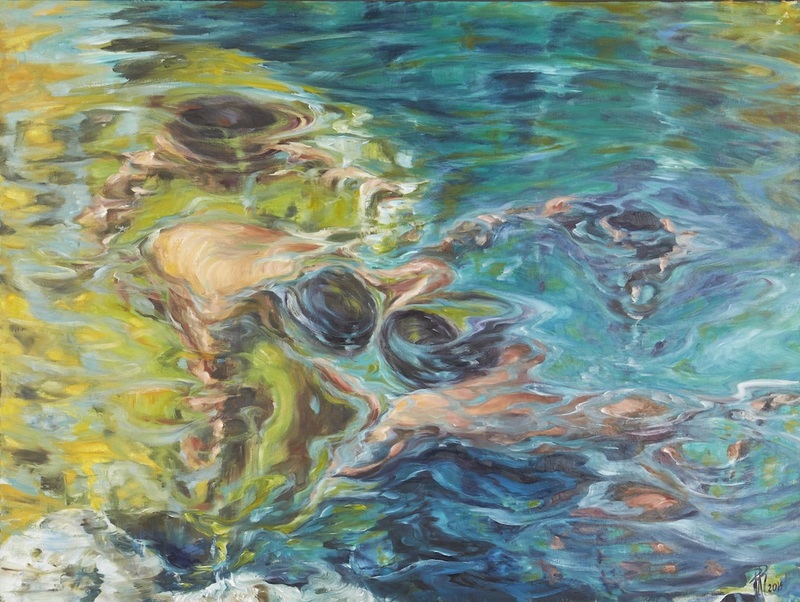 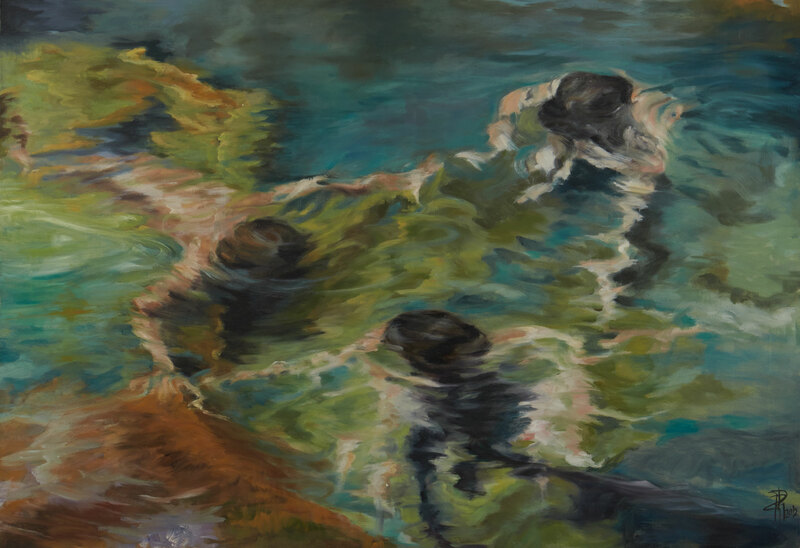 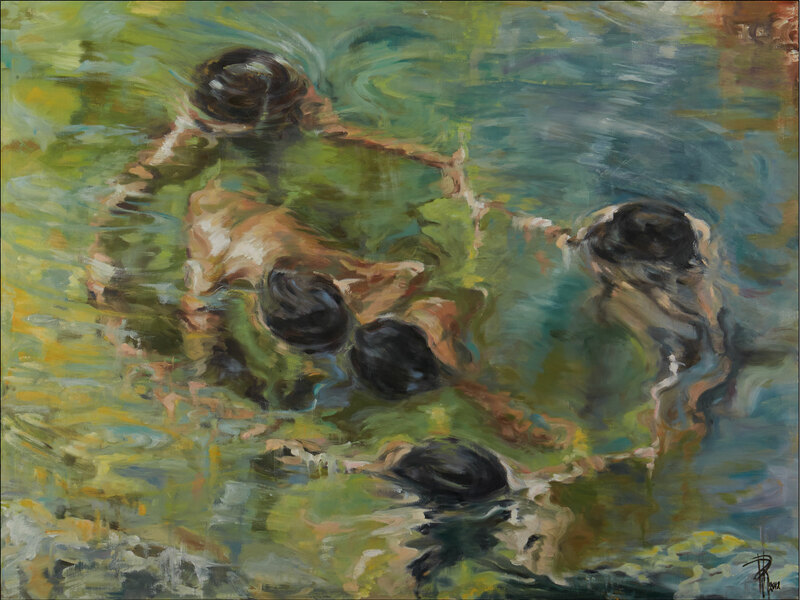 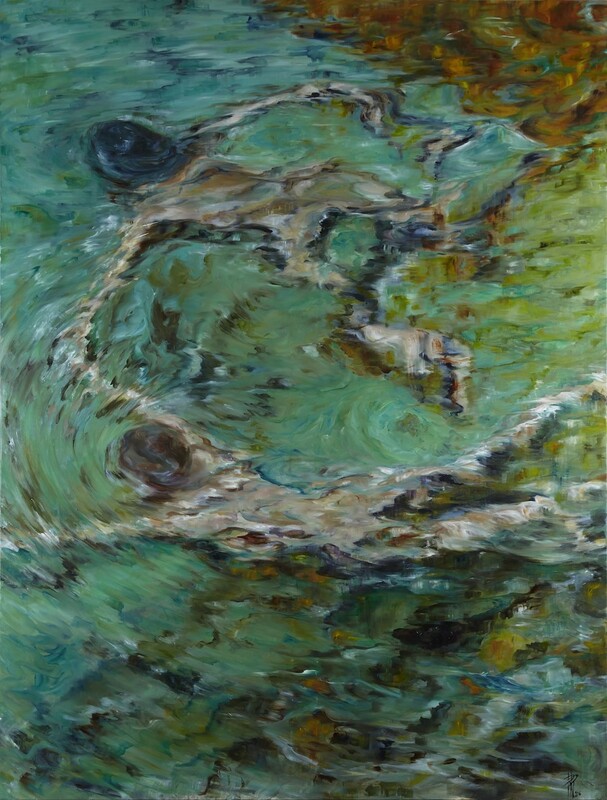 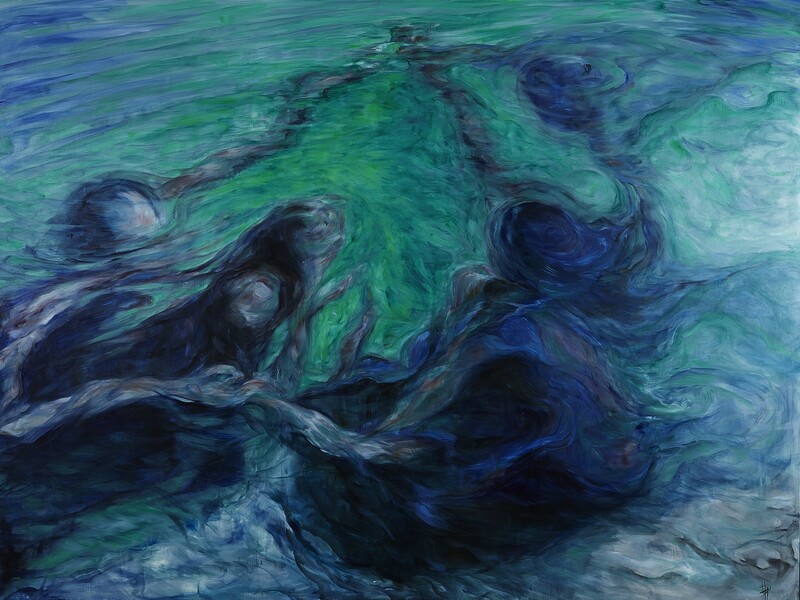 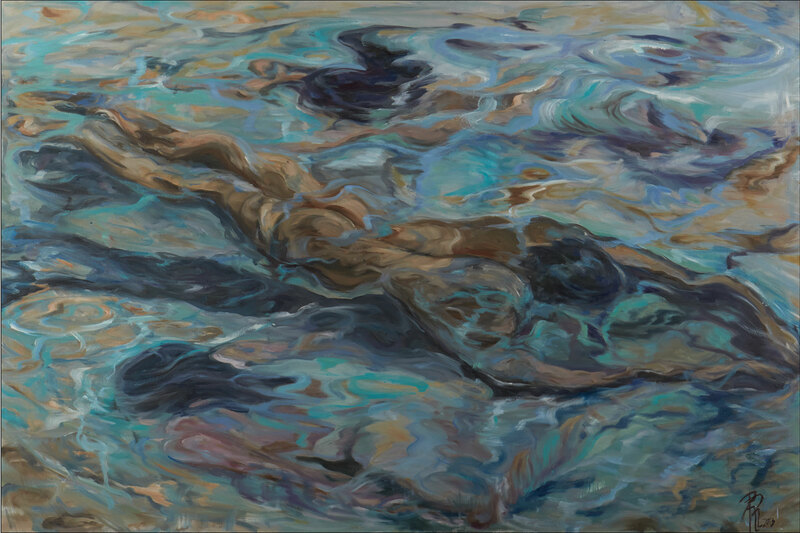 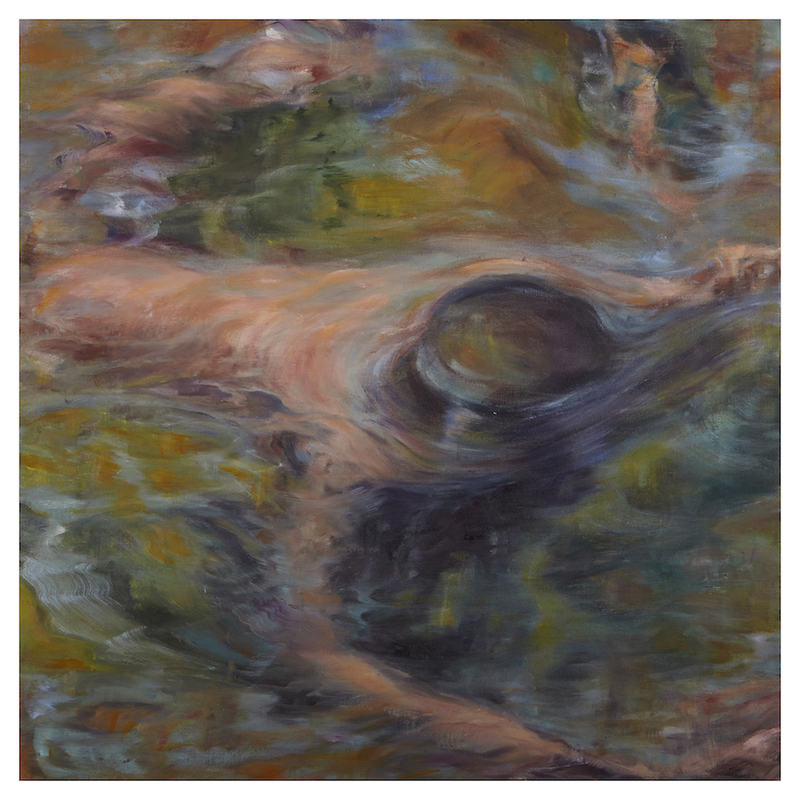 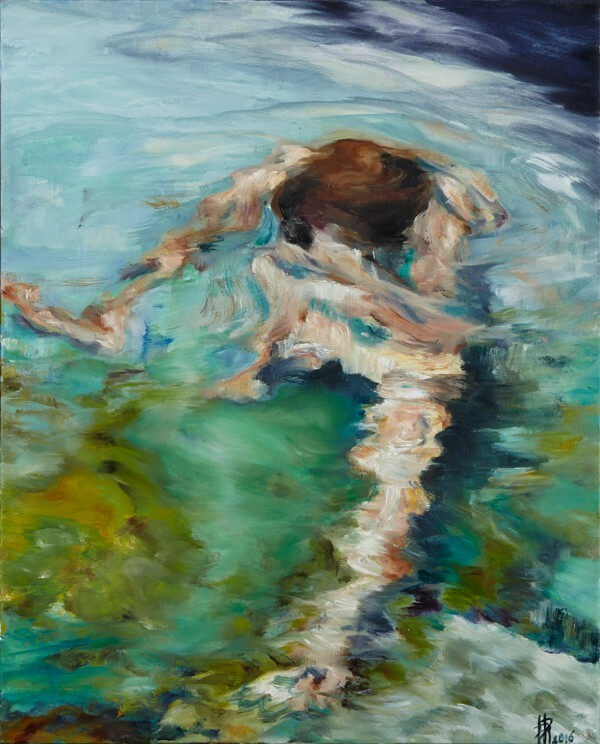 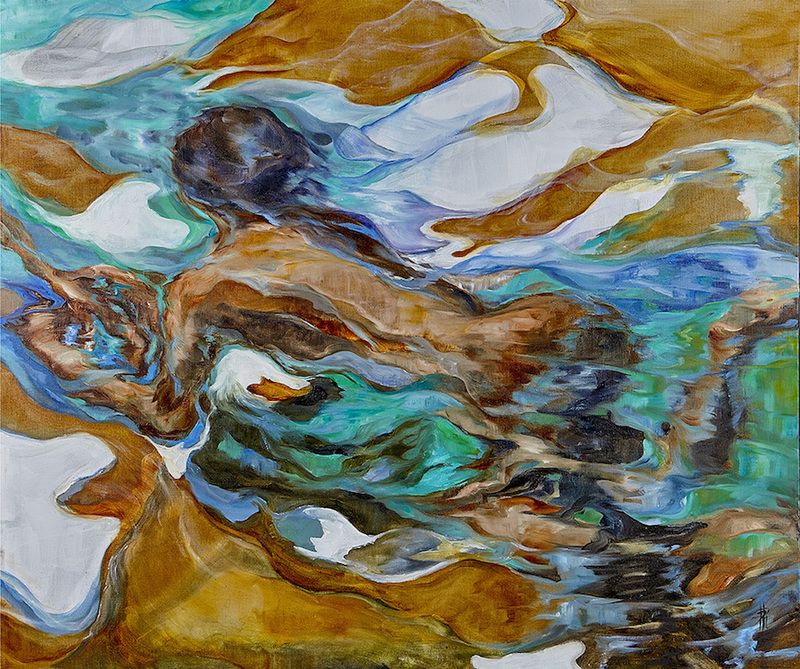 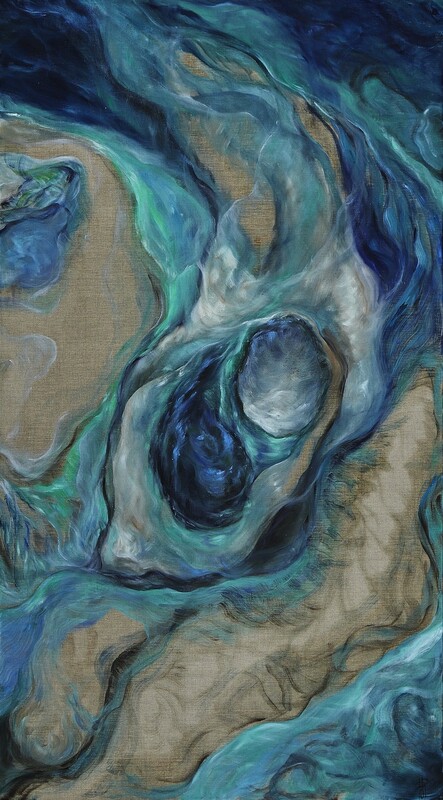 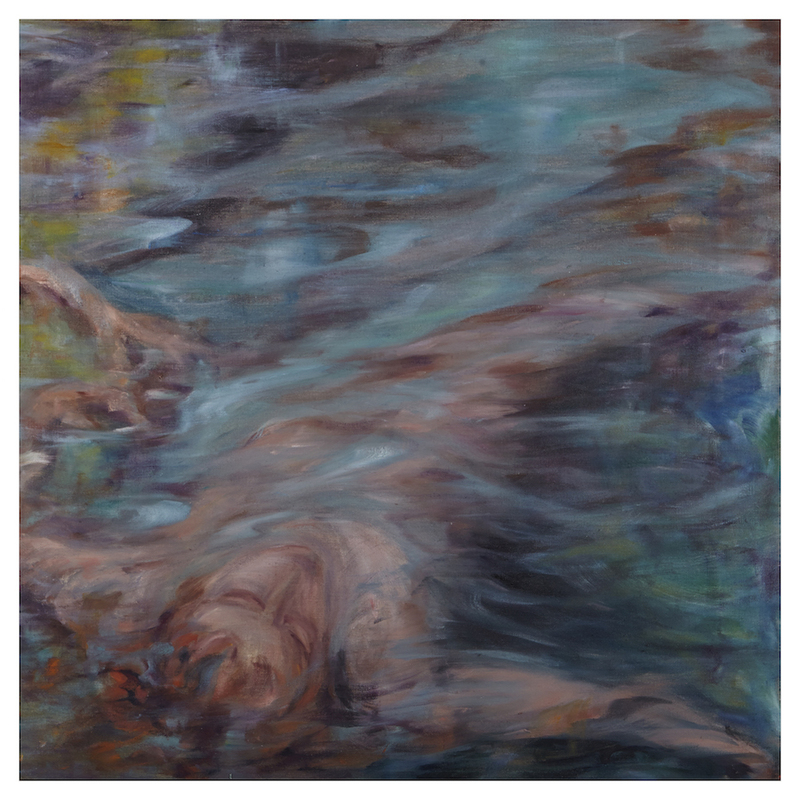 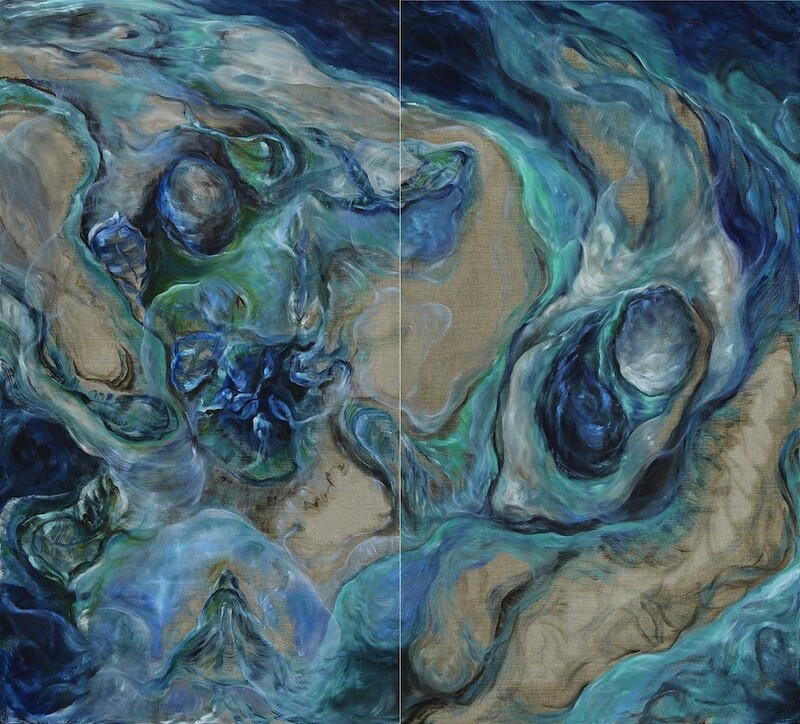 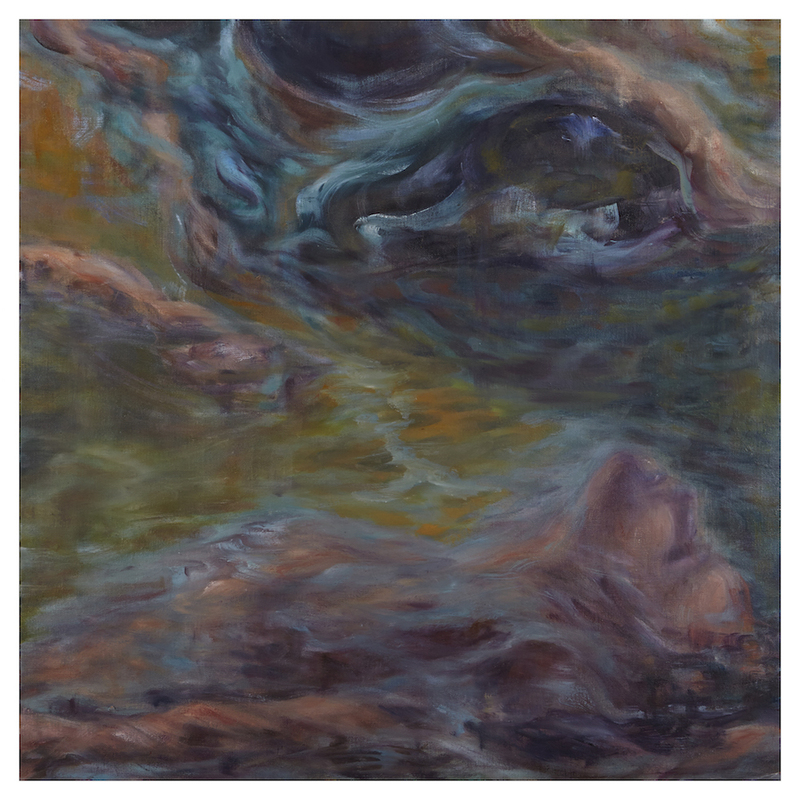 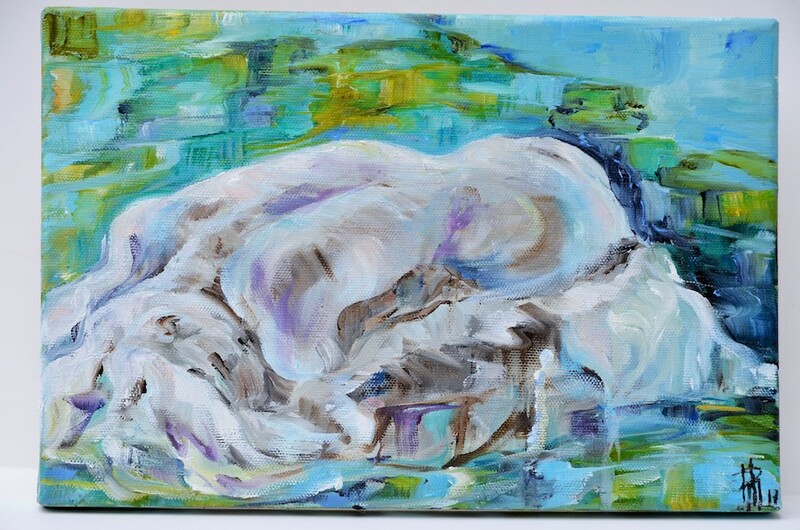 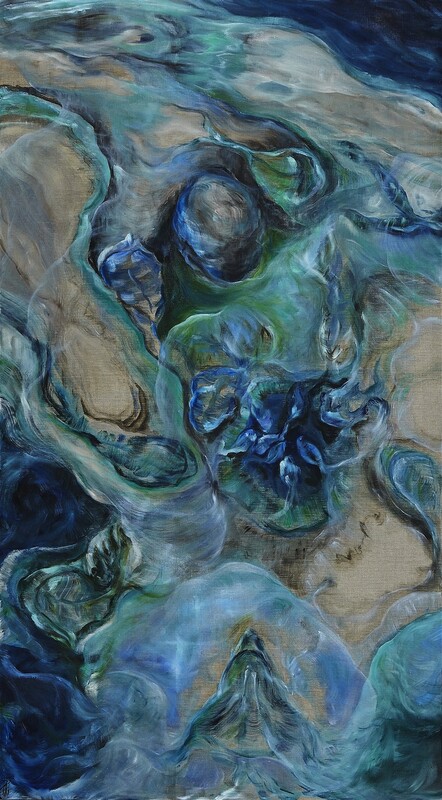 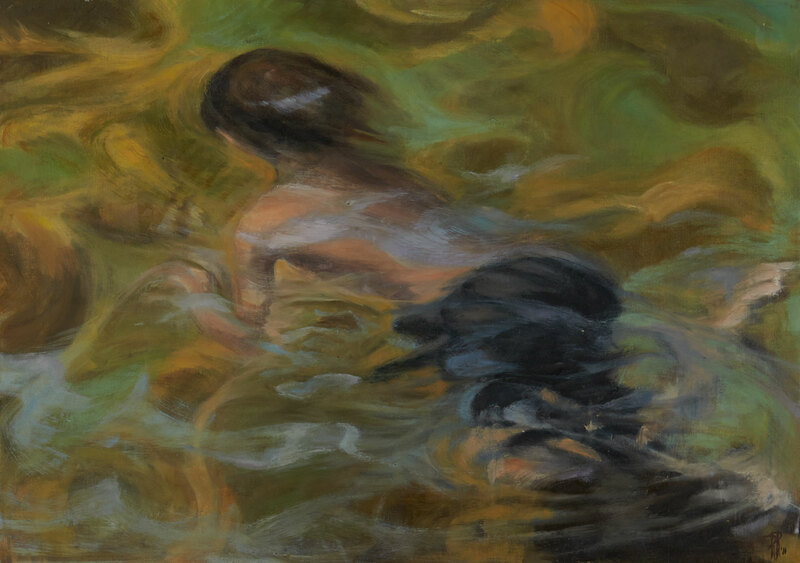 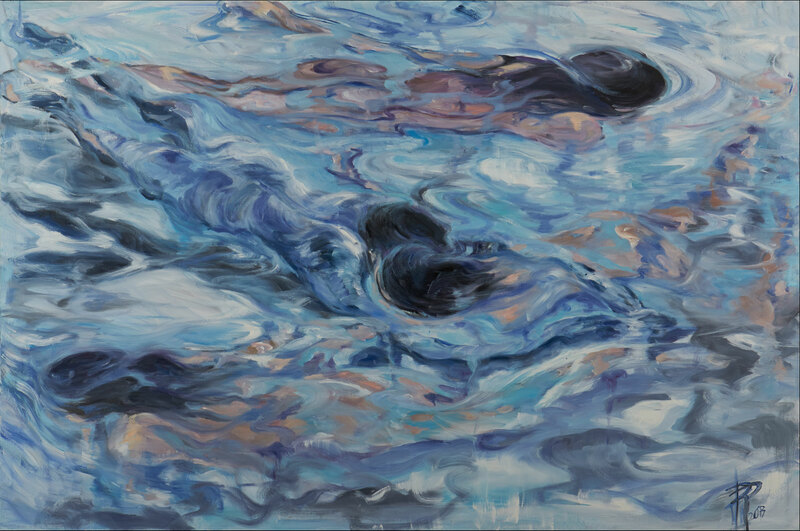 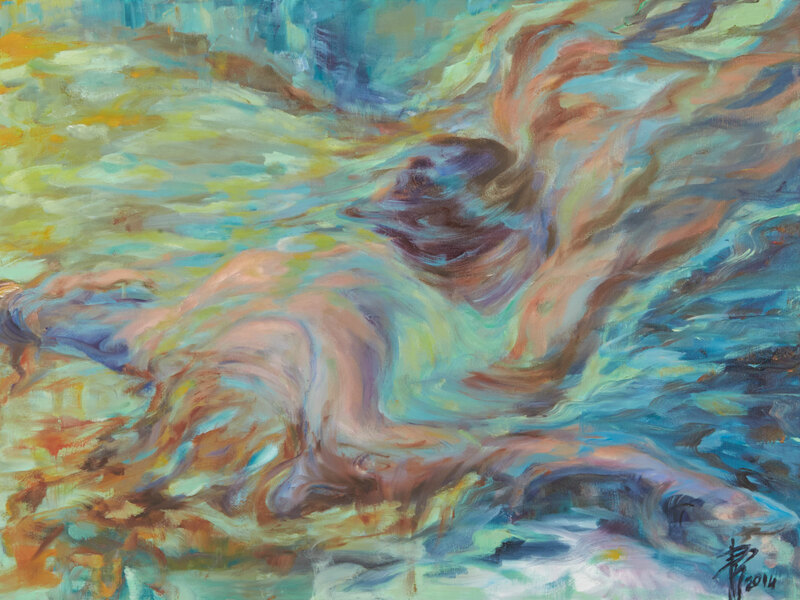 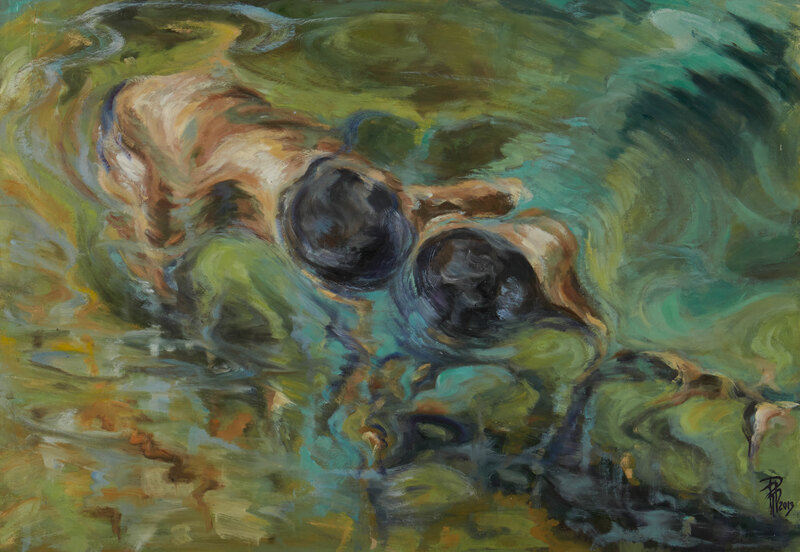 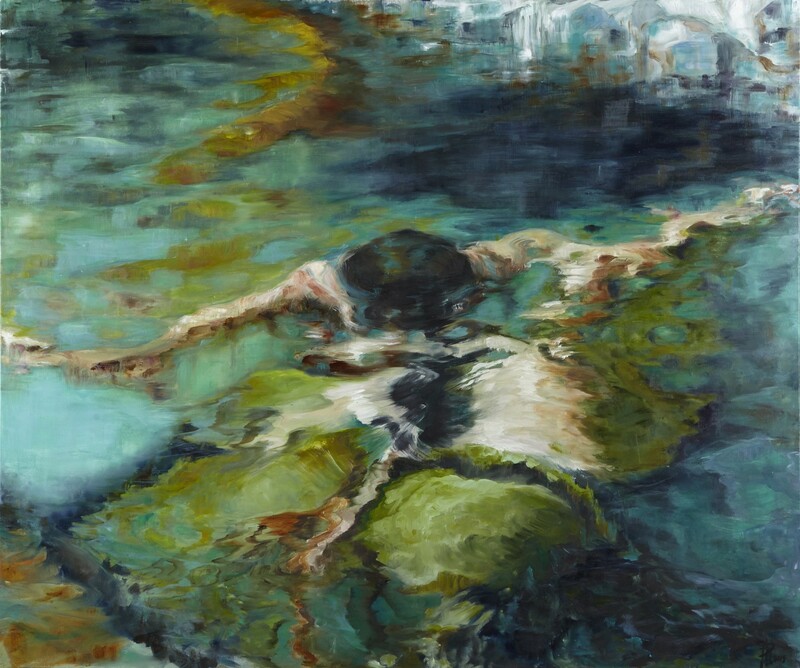 My work is structured around an idea of fluidity where the human element integrates with nature, bodies cross and blend freely with water, in a dimension between dream and reality.